77/171 Max Braden I'm shocked to admit that I think this was better than the original (the original will still be a classic, of course) and it would have been even stronger in the Bush era. There are those who wonder why remakes even have to exist in the first place, and those who complain about how faithful they are once released. In fact, quite often, they’re probably the same people. Footloose doesn’t really need a remake, but Paramount Pictures announced plans to fast track one; quite possibly an impulsive reaction from their declining stock price and profit margins. The release of Hairspray in 2007 showed that it is possible to remake a film into a musical, adapting the stage musical (itself a remake of John Waters’ 1988 film) into a box office success, with $118 million domestic and $202 million worldwide. Mamma Mia! cemented it with $144 million domestic, resulting in $602 million worldwide. Studio executives at Paramount were probably rubbing themselves ecstatically while looking at those figures. Footloose was released back in 1984, and one could argue that its success was largely down to the soundtrack. It’s title song and "Let’s Hear It for the Boy" both received Oscar nominations. The soundtrack itself was number one on the Billboard Pop Album chart for over two months, eventually selling nine million copies in the US alone. A stage musical was launched in 1998 that played on Broadway and eventually London’s West End in 2006, winning quite a few Tony awards too. Given that the remake is intended to be a musical, it will most likely be adapted from this, incorporating some of the more popular songs. The original film told the story of Ren McCormack, who moves with his family from the city of Chicago to small town Beaumont, where dancing and rock music are banned. Ren makes some friends at school, and with their senior prom not too far away they try to get the law reversed in time. If the remake tries to get away with that kind of story today, then it’s just not going to work, unless it decides to go extremely camp, or be 100% faithful and stick with the 1980s time period. Hopefully the story has a few new surprises in store for fans. Directing duties are to be handled by Kenny Ortega, who is responsible for directing the High School Musical trilogy. He will also be producing. 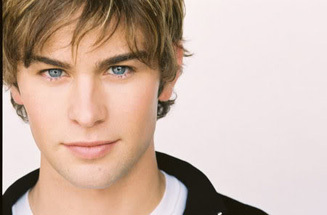 The role of Ren will be filled by Chace Crawford, whose most high profile role is that of Nate Archibald in Gossip Girl. Zac Efron was originally cast as Ren, but dropped out, worried about being typecast in another musical.